Executives and shareholders of Mountain Province Diamonds (TSX:MPV) had reason to celebrate with the release of an operational update yesterday that highlighted the discovery of two significant diamonds, including the largest recovered to date from its Gahcho Kué mine, which opened last September in the Canadian far north. The TSX and NASDAQ-listed company said it unearthed two gems, one at 53.9 carats and the other at 84.65 carats, from Gahcho Kué in April. The news popped MPV's stock by 11.4%, to close at $4.27 a share in Toronto Thursday. The diamond finds eclipsed Mountain Province's last big discovery in February of a 67.87-carat, gem-quality octahedron rock, unearthed during production ramp-up. As one of the world's 10 largest diamond mines, Gahcho Kué is forecast to produce about 4.5 million carats a year over its estimated 12-year life span. 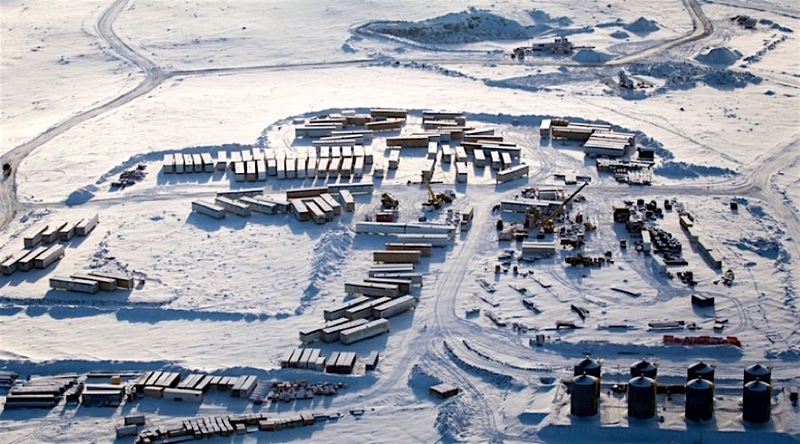 The mine, a joint venture between De Beers Canada (51%) and Mountain Province Diamonds (49%), is a cluster of four diamondiferous kimberlites, three of which have a probable mineral reserve of 34.3 million tonnes grading 1.57 carats per tonne for total diamond content of 53.7 million carats. Also in its operational update, Mountain Province Diamonds said it has received a waiver from all seven participants in its loan facility, and that it has approved a US$19 million budget for winterizing conveyor systems and expanding dust mitigation systems. The money is expected to reduce cold weather downtime and increase efficiencies at the operation.